Relax and unwind with our soothing lavender and geranium bath soak. Enriched with natural oils and a scattering of rose petals, Serene bath soak combines hand-crumbled cold pressed soap with oatmeal, cornflour, sea salt, powdered orange peel and shea butter for a nourishing bathing experience. Sprinkle a handful of grains into a hot bath and let your worries melt away as the rose petals and relaxing scent of essentials oils fill your tub. 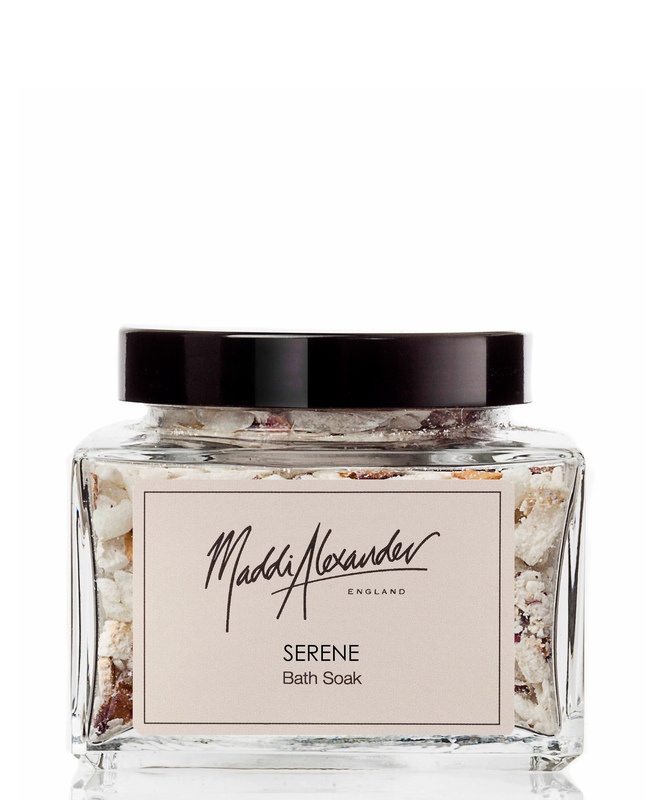 Our most popular fragrance, Serene is a relaxing blend of lavender and geranium. Designed to unwind and uplift while soaking away your stresses, it’s easy to see why this delicate floral scent is so popular with our customers. Made from ethically-sourced, natural ingredients, our bath soaks offer an indulgent bathing experience. cocos nucifera (coconut oil), helianthus annuus (sunflower oil), sodium chloride (sea salt), zea mays (cornflour), olea europaea (olive oil), butyrospermum parkii (shea butter), aqua (water), rosa gallica (ground rose petals), lavandula angustifolia (lavender oil), pelargonium graveolens (geranium oil)*, linalool, geraniol, citronellol, limonene.